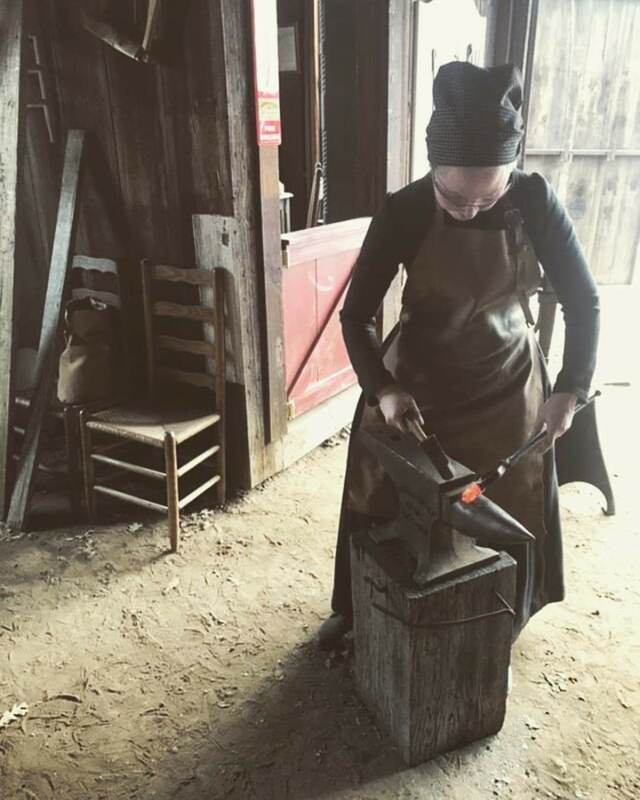 Much has been accomplished since last I posted. 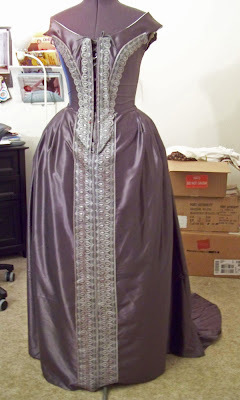 For one, I worked on the skirt, cutting the front length and making the swooping curve that creates the train in back. I sewed on 4 lines of silver lace, right down the front, and pleated up the whole thing, leaving the front straight, and bound the knife pleats with self bias. Phew! 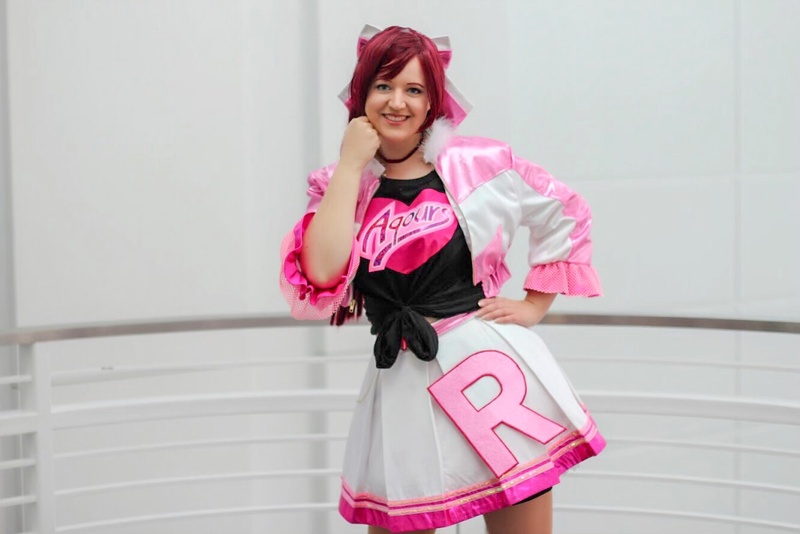 I did run into a bit of a problem, or more like a "learning experience," with the front of the skirt in tandem with the low point of the bodice. For this period, the skirt goes on under the point of the bodice, and over the tabs, and where it crosses from under to over was causing a buckle in the center front of the skirt. The bodice did not like the straight waist on the skirt, so I cut a slight V into the center front and that appears to have solved the problem. Then on to the sleeves. 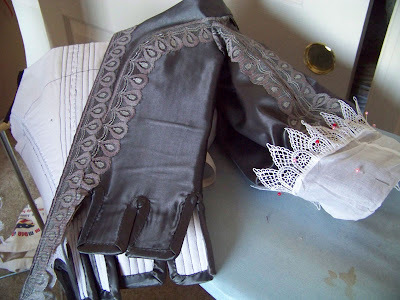 I had one pleated up already, and one completely in pieces, so I set to making the second sleeve, then hand-sewing on the four lines of lace trim to both seam sleeves. And because I was curious (have been this whole time!) and couldn't stop myself, I added on the voile cuff (which I had pretty much NO idea how to do *right*), finished the bottom edge of the sleeve, and sewed it to the bodice. Sewing these sleeves to this bodice, let me tell you, was and is no easy feat. It's like 7 layers thick! I had to do it by hand, with a decent running stitch, then make some adjustments where I hadn't taken a wide enough allowance, and I doubly-secured it with a tiny top stitch over the shoulder straps. The thing is on there! 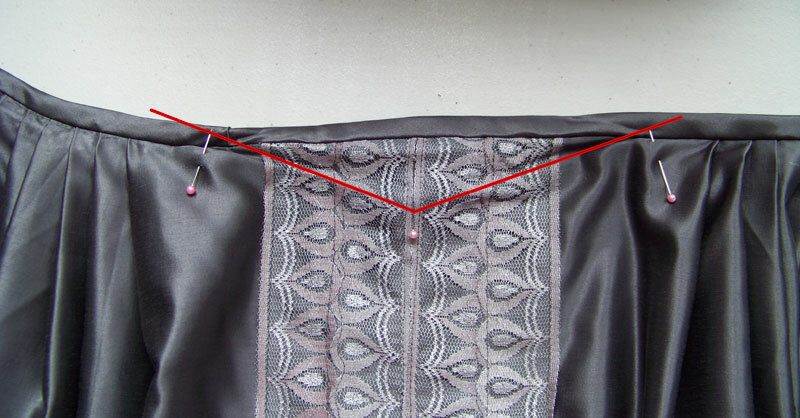 I will trim the crazy seam allowance on the inside and cover it with bias tape to finish it off, when the time comes. I'm so pleased with it! 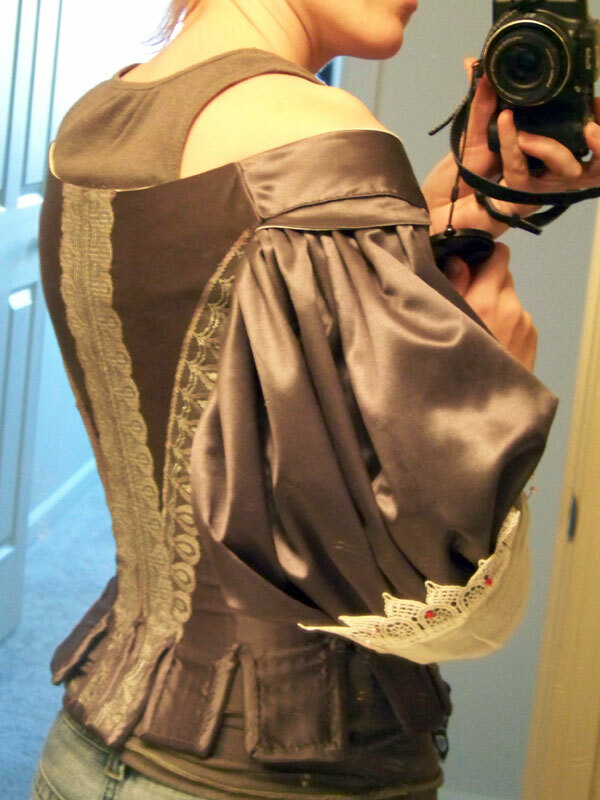 I put the bodice on, laced and pinned, and the sleeve just look fantastic! It fits perfectly, I somehow have range of motion in my arm, and it looks good to boot :-). Now what's left...? 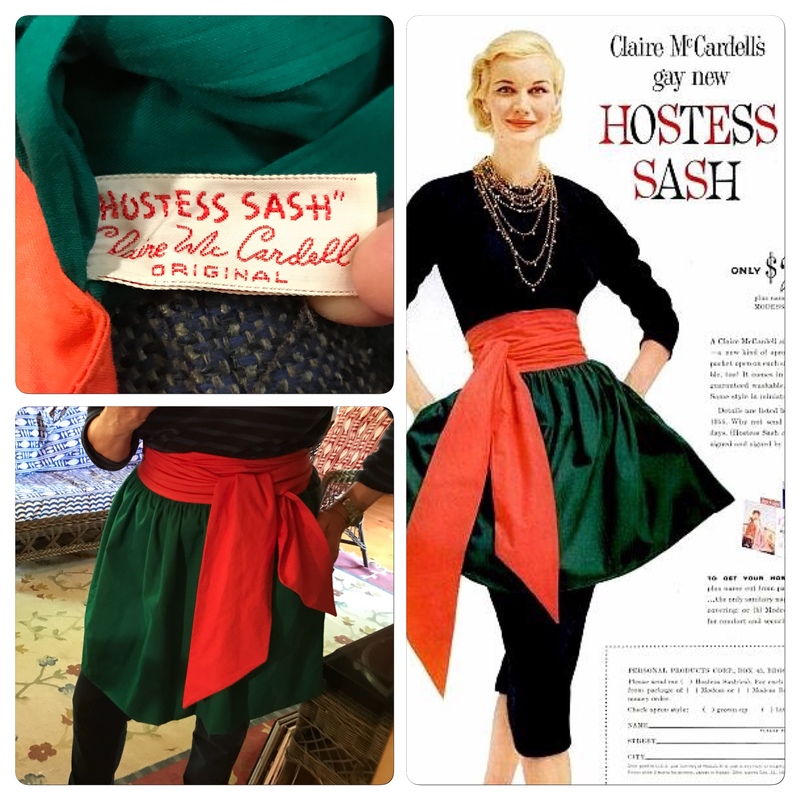 Finish and add the other sleeve, do some interior finishings on the bodice, sew up the back of the skirt (add the gusset), and hem the skirt too, and add the hooks and bars that will keep the skirt attached securely to the bodice. Yay, almost done! Wow, amazing Lauren! I really love the sleeve cuff treatment. I always end up with a big hole in my face (where my closed mouth should be) when I check back to see how you're doing on this baroque project! It's amazing! The shoulders especially looks wonderful! The bodice has a GREAT fit!!! Can't wait to see the finished product! Thanks Ladies! I am very happy with how this is coming out - sometimes doesn't it seem that some dresses want to be made and others just don't? I'm going to try starching the cuffs to crisp them up a bit, since they are very floppy at this point. 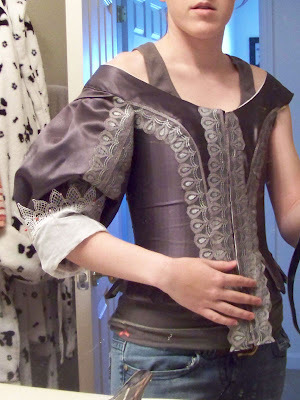 I hadn't originally anticipated adding trim, but I think the wanna-be-reticela-lace adds to it in a good way. I don't know when I'll have a new update for you - busy week ahead - but I'm glad that when I DO update you ladies like what I've been doing and leave me comments! Thanks so much for following!! Wow stunning work! What is this for? Is it a commissioned piece or for yourself? Just curious. It looks SO wonderful! I love the colours,and the siloutte is amazing! Tamra - this is just for me, it's not a commissioned piece. I wanted something new to wear to a ball in June (and subsequent dances), and I've been having a little 17th c. itch. 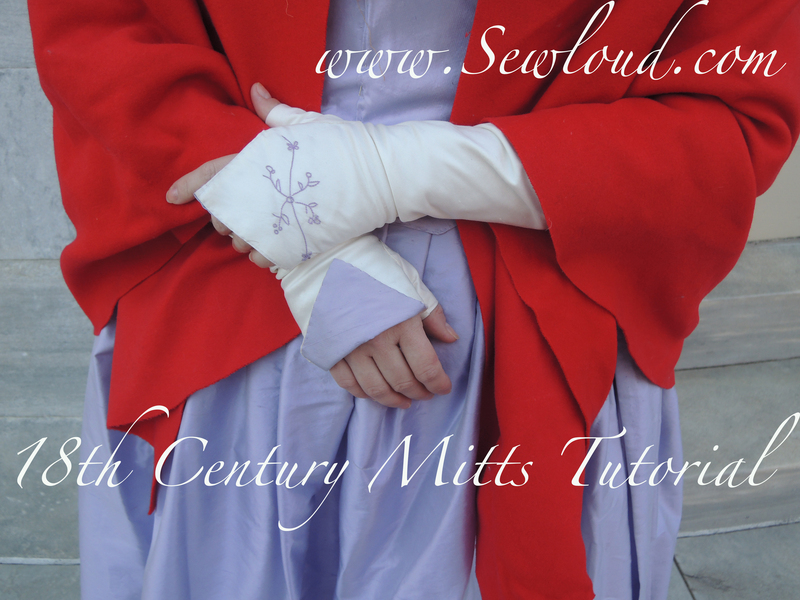 Margravine - I taught a costuming class once to four high school girls, for 4 weeks in summer, a few years back. It was rushed, but fun! I would deffo consider doing it again. I just got some beads today! I'm going to do tiny silver seed beads, some sequins (conservatively, like you see on early 17th c. jackets), and possibly some pearls, yay! When I look at what you have accomplished I see visions of elegance. Fantastic! 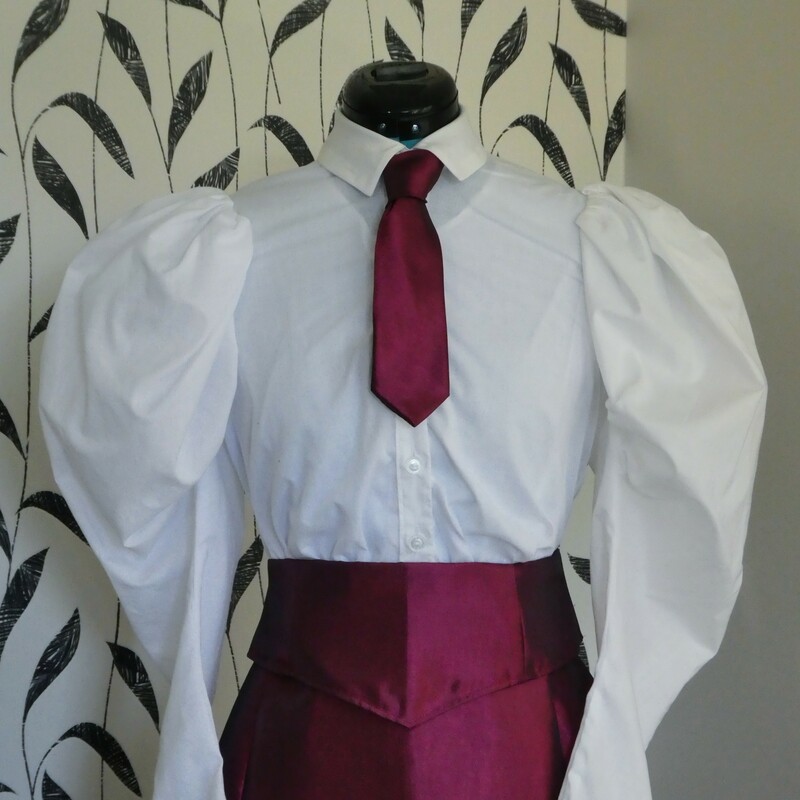 It looks very 'Victorian baroque' on your mannequin, but much more period on you. Your gown is gorgeous! Where do you find the time? 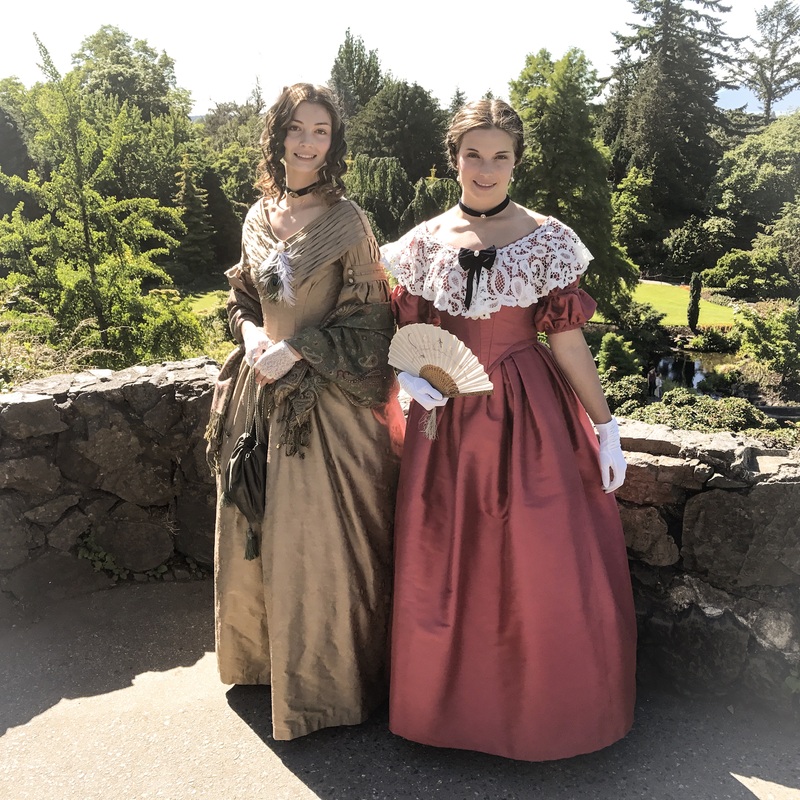 I'm trying to make a simple Regency gown and can't seem to get started. Wher do you get your patterns. The color looks great on you. I was a little unsure when you were spray painting the lace silver, but I must admit it definately makes the gown. You have a wonderful eye. Aw thanks, gals! Dreamy, it's kindof weird - the dress looks totally different on the dress form than on a person. I haven't put the whole shebang on yet. 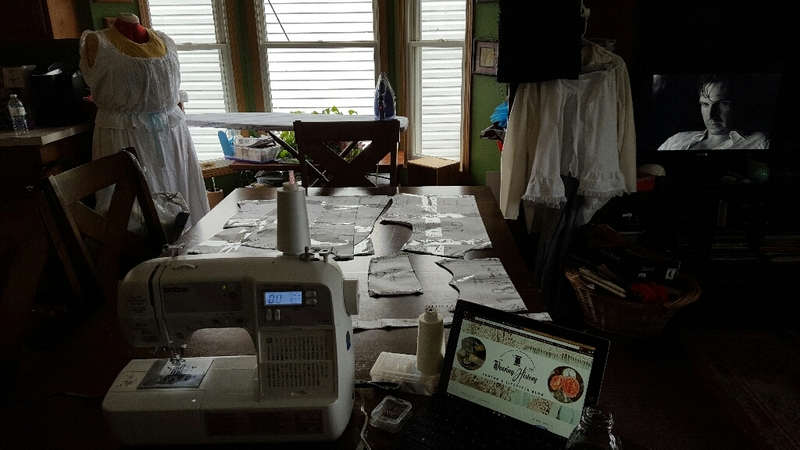 N4c4c4 - I do a lot of my sewing on the weekends, and also in the evenings after finishing with work, if I'm not too tired. Sometimes I use store-bought patterns straight, sometimes I alter them a bit, but mostly these days I drape/draft my own patterns. I find that the worst part of starting a gown is cutting the fabric out - UGH - but once you muscle through that, then it's ready to be sewn together! Also, try watching movies set in the time period your dress is from, to get excited about working on it. It also helps to have a looming deadline! The shape is spot on and the sleeve looks fabulous - that cuff is a perfect finishing touch. Oh, and I'm definitely with you on two fronts: the watching of period films whilst stitching and the bleh-ness of cutting the fabric! Well, I just watched Young Victoria and although the plot was "missing" the clothes and settings were outstanding. Now, I want to make a Victorian gown. Your gown reminds me alot of one of the gowns Victoria was wearing with the lace on the sleeves. I noticed that most of the lace used on the clothes were either knitted or crocheted. Has anyone tried the patterns for handmade lace I've seen on Ebay? Looks amazing - you're so talented! I haven't seen "Young Victoria" yet (want to! 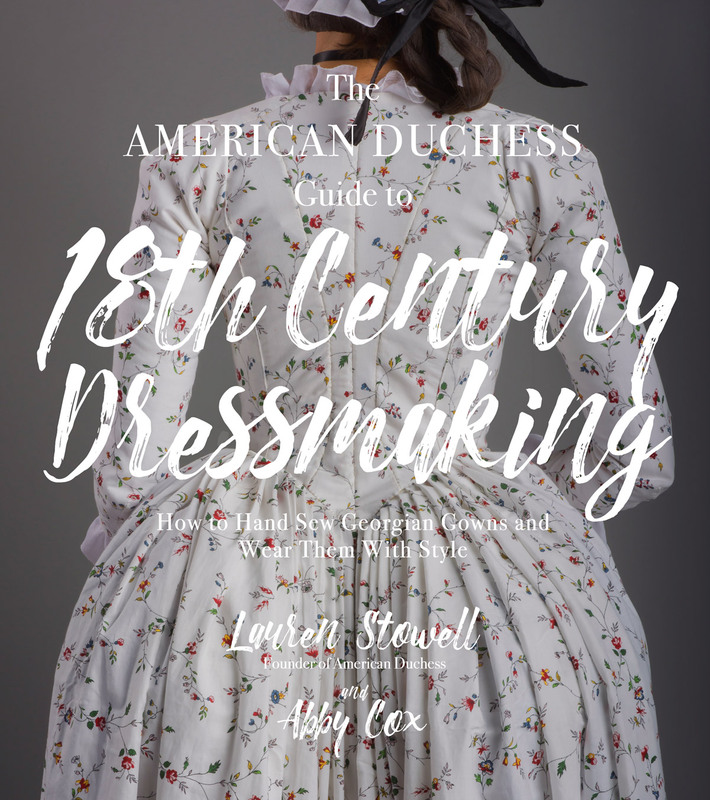 ), but I do know that the styles of the 1830s were greatly influenced by 17th c. gowns, so it makes sense! I haven't tried out handmade lace patterns - frankly, I'm scared! I had a lot of trouble finding appropriate lace for this project, as everything was very flowery, or on mesh, very Victorian/Edwardian looking, rather than the more open reticella/italian style lace we see in 17th and 16th c. examples. I know you can still buy that stuff, but my goodness it's expensivo! I've tried bobbin lace, too - so far, it's part of a bookmark and yes, it does take a lot of time. 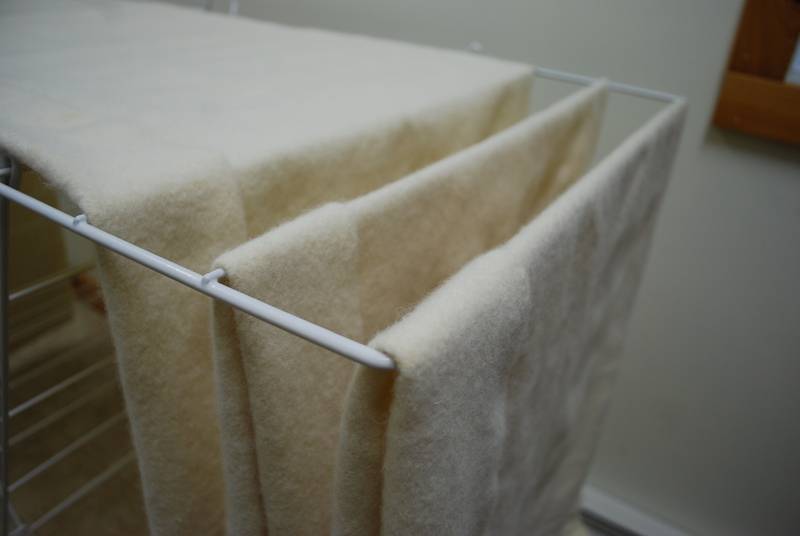 On the other hand, I found it much simpler than I expected it to be.Except for the knot at the beginning (to tie two bobbins together) - I couldn't make that at all. It surely helps to have the right kind of bobbins - I've borrowed some from my aunt and those were too light for me, so then I started working with my grandma's, who makes bobbin lace regularly, and those are a bit heavier and much easier to work with. I suppose those light ones were meant for lighter thread than I work with. Anyway - my first time commenting here, but not the first time reading. I love this project! I particularly love the fit of the bodice, the curve of the overbust seams and the shape the vertical boning creates. I absolutley love this dress. You dont see to many Baroqu/ 17th century costumes being made (or at least i havent come acorss them) so its a nice change. I love the neckline of that era, its really flattering. i keep meaning to try and make one myself but i am in the middle of my last year of high school so exams are looming. It looks SO great, and the fit is just gorgeous! Yay!